Cracked heels are a very common problem and can range in severity from a cosmetic issue to a painful problem. 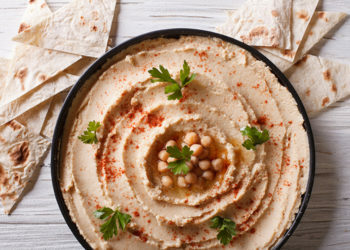 In addition to dry, thickened skin, the problem may be accompanied by symptoms like redness, itching, inflammation and peeling skin. Taking proper precautions right away can prevent cracks from getting deeper and causing bleeding and pain. Some of the causes of cracked heels are dry air, lack of moisture, improper foot care, an unhealthy diet, aging, prolonged standing on hard floors and wearing the wrong types of shoes. 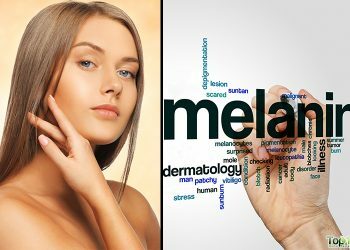 Conditions like eczema, psoriasis, corns and calluses, diabetes and thyroid disease may also contribute to the problem. 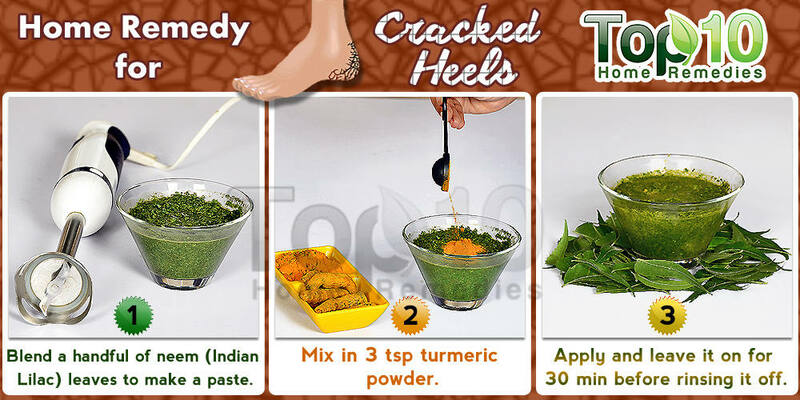 There are several home remedies for cracked heels that you can try to resolve the problem. Here are the top 10 remedies for cracked heels. A variety of vegetable oils can be used to treat and prevent cracked heels. Olive oil, sesame oil, coconut oil or any other hydrogenated vegetable oil will work. For best results, use this remedy before going to bed to allow ample time for the oil to fully penetrate your skin. First soak your feet in soapy water and scrub your feet with a pumice stone. Apply any vegetable oil liberally on your heels and soles. Put on a pair of clean socks and leave them on overnight while you sleep. In the morning, your heels will be noticeably softer. Repeat this for a few days until the cracks in your heels are gone completely. Exfoliating the skin on your feet and heels will help remove dead skin, thus preventing cracking and dryness. Rice flour can be used a part of a homemade exfoliating scrub. 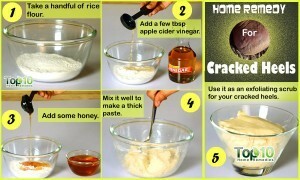 To make the scrub, mix a handful of ground rice with a few teaspoons of honey and apple cider vinegar. Stir it until it becomes a thick paste. 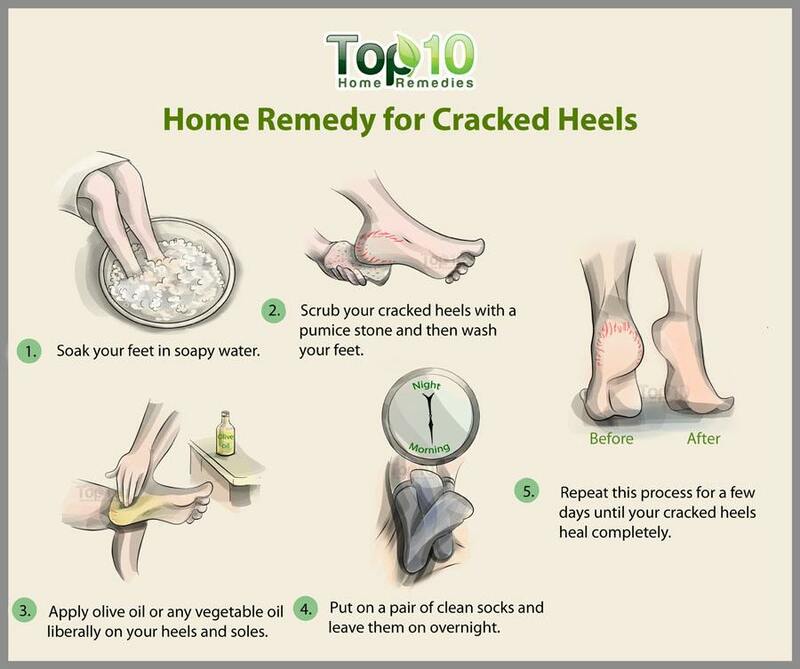 If the cracking on your heels is extremely bad, add a tablespoon of olive oil or sweet almond oil. Soak your feet in warm water for 10 minutes and then gently scrub them with the rice flour paste. Repeat the process a few times a week until you are satisfied with the results. Indian lilac, also known as margosa leaves or neem, is an effective remedy for your cracked feet, especially when they become itchy and infected. Neem soothes dry, irritated skin and fights infection, thanks to its fungicidal properties. Crush a handful of Indian lilac leaves to make a fine paste and add three teaspoons of turmeric powder. Mix it well. 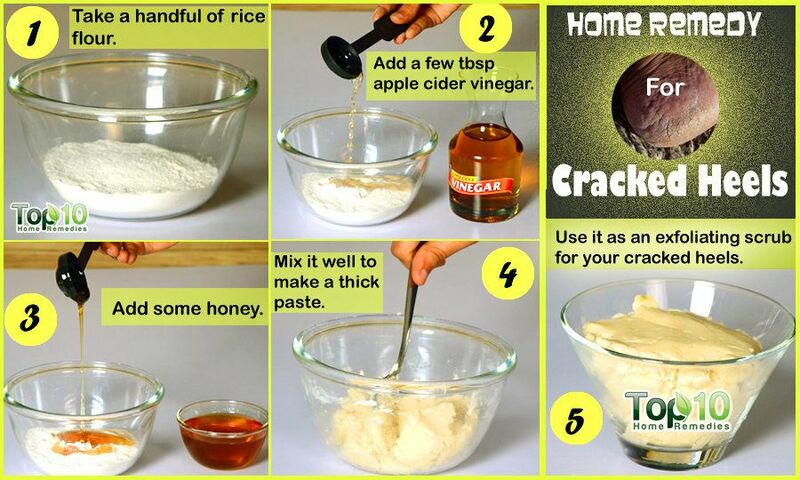 Apply the paste on the cracks and leave it on for half an hour. Wash your feet with warm water and dry them with a clean cloth. The acidic property in lemons can be very effective in softening rough skin that leads to cracking. Soak your feet for 10 to 15 minutes in warm water with lemon juice added to it. Avoid using very hot water, which can cause your feet to dry out more. Scrub your cracked heels using a pumice stone. Wash your feet and pat dry with a towel. The combination of glycerin and rose water makes an effective home treatment for cracked heels. 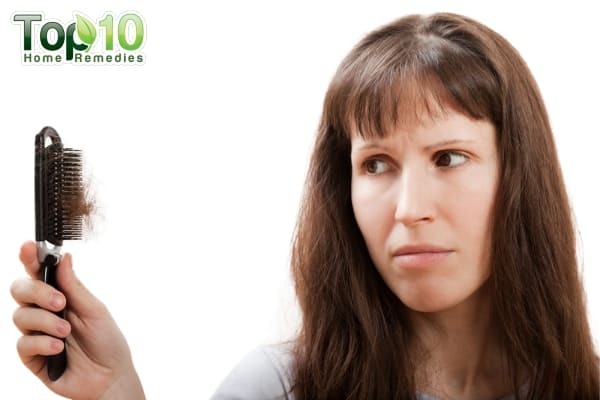 Glycerin softens the skin, which is why it is widely used in cosmetics. Rose water adds vitamins A, B3, C, D, and E as well as antioxidant, anti-inflammatory and antiseptic properties. Just mix equal amounts of glycerin and rose water thoroughly and rub it on your heels and feet daily before going to bed at night. If the condition of the cracks on your heels is really bad and causing a lot of pain, a paraffin wax treatment can provide quick relief. It works as a natural emollient to soften your skin. Melt one block of paraffin wax in a double boiler and mix in two tablespoons of mustard oil or coconut oil. Allow it to cool until a thin layer forms on the top. Now, dip your feet in the mixture, wait for 5 to 10 seconds and dip again. Do this a few times or until you have several layers of wax built up. Cover your feet with a plastic and leave it on for 30 minutes before removing the plastic and peeling off the wax from your skin. Repeat the treatment one or two times a week. Note: Make sure you do not dip your feet in the paraffin wax mixture when it is hot. Do not use this remedy if you are diabetic or have poor circulation. If you have cracked heels, it’s important to take extra care to keep your heels well moisturized. You can do this simply with an Epsom salt or a sea salt foot soak. It will also help improve circulation. 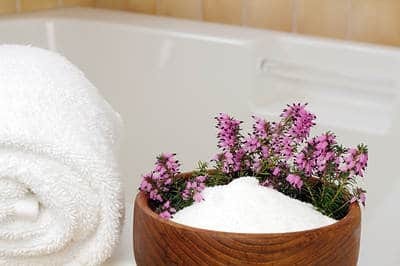 Mix one-half cup of Epsom salt in a foot tub filled with warm water. Soak your feet in this solution for 10 minutes. Scrub your feet with a pumice stone and again soak in the foot soak for 10 minutes. For best results, put on a pair of socks to prevent the added moisture from evaporating. 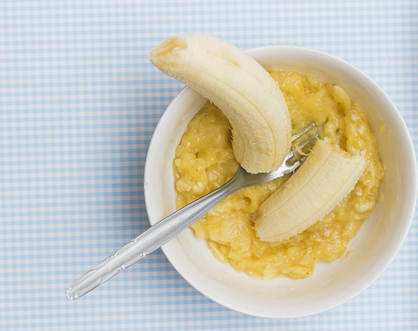 Ripe bananas are one of the cheapest home remedies for cracked and dry heels, thanks to their moisturizing properties. Mash one ripe banana into a smooth paste. Clean your feet thoroughly and apply the banana paste on your heels. Let it to sit for 10 to 15 minutes so that your skin can absorb the natural nourishment. Wash your feet gently with some warm water and then soak your feet in cold water for 5 to 10 minutes. Do this daily for a few weeks to restore soft and smooth heels. 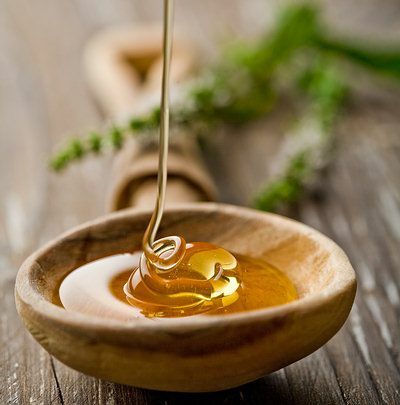 Honey has moisturizing and antibacterial properties, making it an excellent treatment for dry and cracked heels. Stir one cup of honey in a foot tub filled with warm water. Soak your feet in the water for 15 to 20 minutes. Do this daily or several times a week until you see improvement. You can use petroleum jelly on dry, rough skin to prevent cracked heels and leave your feet soft and well moisturized. Scrub the hard dead skin around your feet after soaking them in warm water and then apply petroleum jelly over the entire heel area. You can also mix one teaspoon of lemon juice in petroleum jelly and then apply. Cover your feet with socks so that the petroleum jelly soaks into the skin. For best results, do this daily before going to bed. 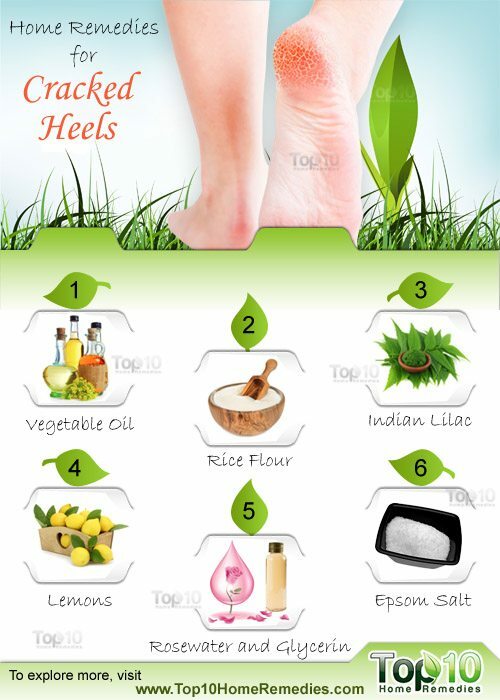 At the first sign of cracked heels, try these natural treatments to restore soft and smooth skin on your heels. 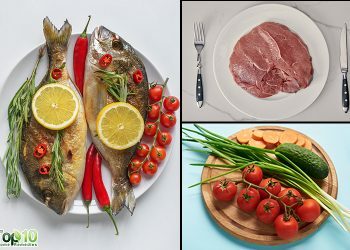 Also, keep your body well hydrated by drinking plenty of water and follow a diet high in omega-3 fatty acids. In case you develop severe cracked feet, or have diabetes or impaired circulation then make sure you consult a podiatrist or doctor. Yes this worked. I used pure coconut oil from da kitchen. Da heels eis good in 1 and half weeks. I have not tried it but it seems like it will work !!!!! 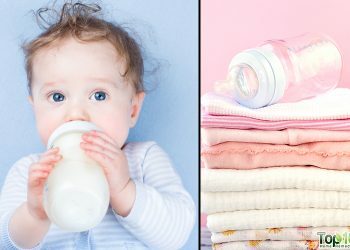 The above given tips are really easy to do in home. Thank you for giving these tips and undoubtedly its very useful for us. ..realise after I shouldn’t when I’m walking on tiptoe in pain. Cracked feet are a bind and we continually search for things to improve them so these sites are useful. very good & easy tips to follow at home. i like it & i will surely follow it. thanx. Great tips.I’m going to try them. I have had dry heels for 10 years I use a pumice stone to keep them in check. All of these remedies sound very interesting and I’m going to try the olive oil right now! I will come back in a couple days and post how it went. Has anyone tried vicks vapor rub I have been using it for years there is menthol in the rub that acts also as a germ killer. I have suffered with dry cracked heels and dry feet. I have soaked, scraped, rubbed, etc and have had only minimal success. I am going to try all until I find a keeper. I hope this works for my mom’s heels, they are very dry, she has tried a lot of products, but I think they don’t work.I hope these remedies work.